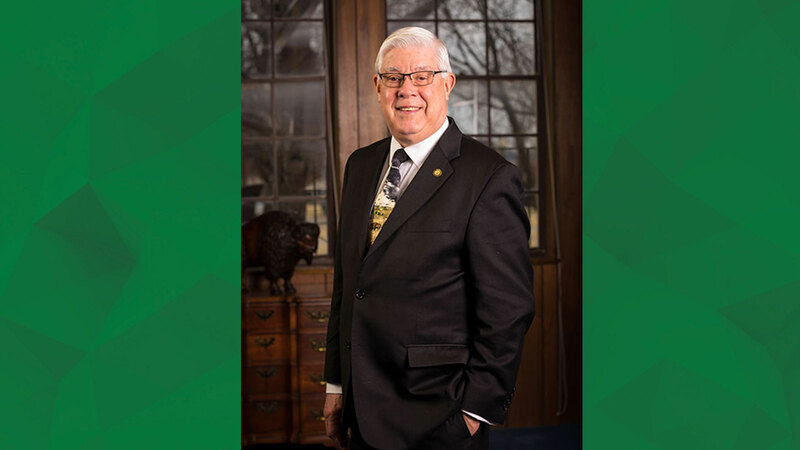 The OBU board of trustees voted for Dr. C. Pat Taylor to serve as interim president, beginning February 18, 2019. Taylor came to Bison Hill to lead the university during the presidential transition following the retirement announcement of OBU's 15th president, Dr. David W. Whitlock. Taylor retired from Southwest Baptist University in Bolivar, Missouri, Aug. 31, 2018, after nearly 22 years as the university’s president. Prior to becoming president of SBU, Taylor served as chief academic officer at OBU for 10 years. As senior vice president and provost, Taylor was responsible for OBU's academics, student development, admissions, religious life, library services and athletics from 1986 to 1996. He previously served as associate vice president for academic affairs at Union University in Jackson, Tennessee, from 1979-86. From 1975-79, he was an assistant professor of education at Belmont University in Nashville, Tennessee. While at Belmont, he served as head resident of Pembroke Hall, a men’s dormitory housing 150 men. His experiences also have included community college and high school teaching and coaching. A native of Salem, Kentucky, Taylor received his Doctor of Education with emphasis in history and philosophy of education from then Memphis State University. He received a master’s degree in history from Western Kentucky University and a bachelor’s degree in history and secondary education from the University of Tennessee-Martin.